What's it going to take to get you to cry in a video game? A dead colleague? A difficult boss fight? Undelivered promises from the video game hype machine? How about an adorable sad puppy narrating the death of his human companions on the front line of World War I? Able to fully comprehend the horrific world around him, but unable to express how he feels to those whose lives he touches. All he can do is curl up on the graves of his fallen comrades, and even then, he is unable to write to their families or pen their brave stories into a memoir, well, because he's a dog. 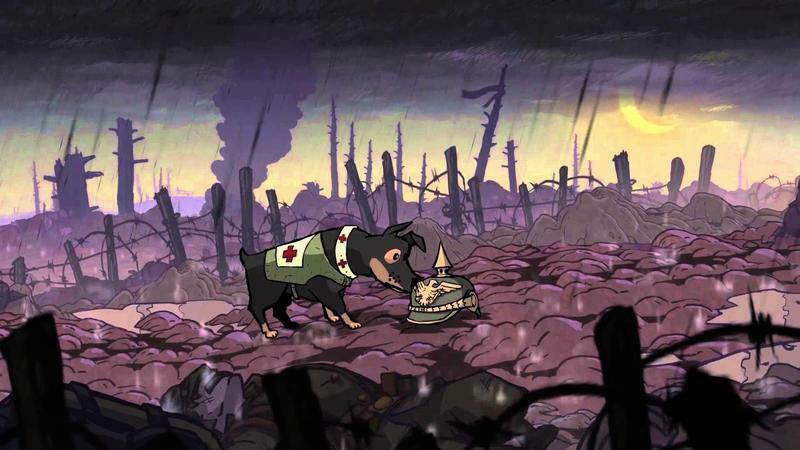 Valiant Hearts: The Great War is an action puzzle game powered by the same UbiArt Frameworks graphics engine used to power Rayman Legends and Child of Light. It will tell an emotional story of four soldiers who valiantly fought and possibly gave their lives over the course of the conflict, all through the eyes of a single dog who connects each plot. Valiant Hearts: The Great War will be released on June 25th for the PlayStation 3, PlayStation 4, Xbox 360, Xbox One and PC.